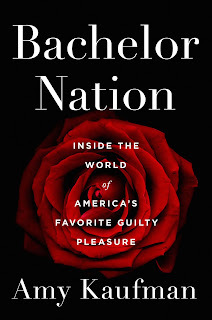 The second I saw a photo of journalist and former Bachelor Nation insider Amy Kaufman’s new book Bachelor Nation: Inside the World of America’s Favorite Guilty Pleasure floating around on the Twitterverse, I knew I had to read it. Kaufman used to write reviews of The Bachelor and its spinoffs, and her reviews garnered enough views and online conversation that ABC producers began inviting her to all kinds of Bachelor-related events — the Women Tell All and After the Final Rose live tapings, charity functions produced or emceed by former cast members, and all kinds of private parties and happy hours. After some time, though, ABC’s publicity department informed Kaufman her coverage “was ‘too negative’ and [they] no longer wanted [her] near any show-sponsored events.” Of course, Kaufman’s reviews weren’t so much “negative” as they were snarky (after all, Kaufman writes, “Who doesn’t hate-watch The Bachelor?”). But it didn’t matter — her ties with those holding the power in Bachelor Nation had been severed. Bachelor Nation boasts interviews with current and former producers and directors, such as Elan Gale, Michael Carroll, and Duan Perrin, but we’re all reading to get the scoop from the contestants themselves — and Kaufman does not disappoint with the star-studded ensemble she managed to snag for interviews. She speaks with loads of contestants, including Sharleen Joynt (Juan Pablo Galavis), Chris Bukowski (Emily Maynard, and an array of other franchise spinoffs), and Eric Bigger (Rachel Lindsay); and even some former showrunners themselves like Nick Viall (season 21) and Ben Flajnik (season 16). 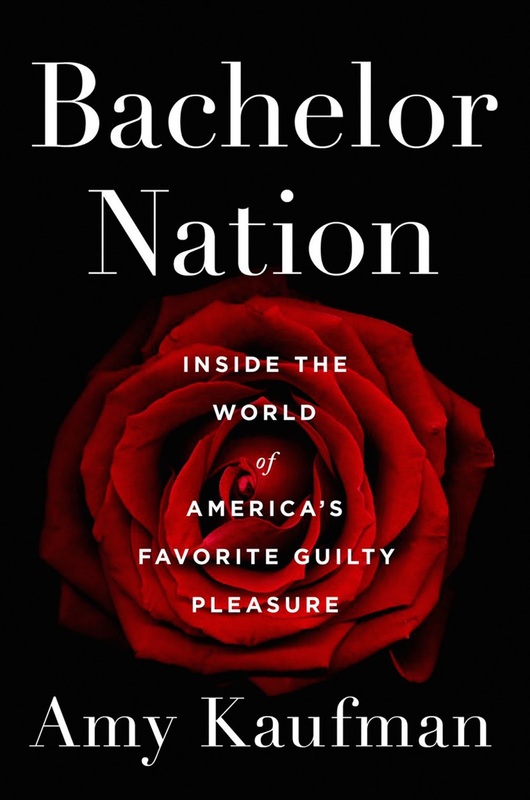 Marketed as a juicy, gossipy tell-all that ABC and the producers definitely did not want her to write, Bachelor Nation does not disappoint. Some of the stuff isn’t surprising — like the fact the show is absurdly scripted — but other stuff blew my mind, like the fact creator and executive producer Mike Fleiss fostered a workplace culture that consisted of getting high during meetings and insane parties where staff would get blackout drunk. We also get the inside scoop on the absolutely insane application process. Not only is there is a lengthy form to fill out (either on paper or online, but either way you also have to send in a video of yourself), but prospective contestants have to shut themselves in a hotel room if they make it through to the in-person interview round, undergo intense psychological testing, get grilled by producers, and have a medical examination (you’d be excused right then and there if you tested positive for sexually transmitted diseases). But perhaps the most frightening thing about the application process is the waiver that you have to sign before going onto the show: “I understand, acknowledge and agree that producer may use or reveal personal information which may be embarrassing, unfavorable, shocking, humiliating, disparaging, and/or derogatory, may subject me to public ridicule and/or condemnation, and may portray me in a false light.” So... if you go on the show, you’re giving the producers permission to paint you in a false light — something many contestants complain about (think of our favorite villains — Courtney Robertson [Ben Flanjik], Krystal Nielson [Arie Luyendyk Jr.], and Corinne Olympios [Nick Viall]). Bachelor Nation also takes us through what it’s like to live in the mansion (total seclusion and isolation), how those extravagant dates are planned, and how the show has evolved over the years (a lot less people going on there for the right reasons... hello Instagram #sponcon). I had hoped to get a little more scoop from contestants about other contestants, and I was also hoping for some all out fury rants against the franchise, but I understand there are contracts involved to stay quiet about some of the show’s going-ons and all that, and that some contestants — even though they may have had a negative experience — don’t regret being on the show. I definitely would recommend Bachelor Nation to those like myself that enjoy the show, but also want to educate themselves on how and why the franchise is problematic. All in all, it was an enjoyable, entertaining, and informative read — one that makes me even more excited for what the franchise has to offer in the future.